Iron Maiden have issued a video thanking fans for their support of The 2016 Book Of Souls world tour. On the road since late February, the UK band performed 72 shows in 36 countries across six continents to more than 1.5 million fans. "It's been a brilliant tour and the fans have been absolutely brilliant everywhere,” says bassist Steve Harris, “but I've got to say we are all, if I'm honest, looking forward to a nice rest. We'll see you on the next one." 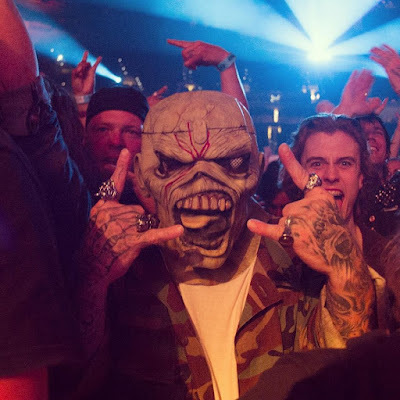 all you wonderful fans out there who have made this leg of the tour one of the most exciting and memorable tours I've ever done with Iron Maiden." The group travelled around the world via Ed Force One, a Boeing 747 jumbo jet piloted by singer Bruce Dickinson. Iron Maiden streamed the final concert of the tour live from the Wacken Open Air Festival in Wacken, Germany on August 4.